James 'Skip' Porter PENNINGTON- James "Skip" Porter, 74, devoted husband, loving father and grandfather, passed away peacefully at home. Born in Hamilton Township in 1934, Skip lived most of his life as a Hopewell Valley resident. 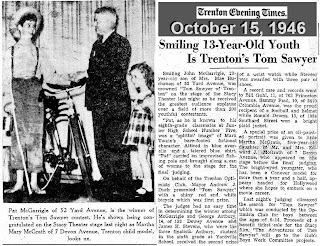 He enjoyed summers on Long Beach Island and winters in Hobe Sound, FL. He was a graduate of Hamilton High School West, four year class president and four year captain of the Hamilton High School football team. 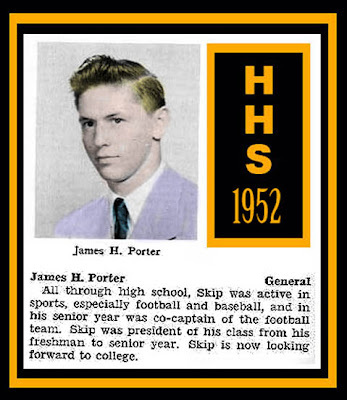 He spent a year as a post graduate at Hun School of Princeton then attended Worcester Polytechnic Institute in Worcester, MA, where he was a part of the undefeated 1954 football team. He was a U.S. Army veteran involved with the Second Guided Missile Group at Fort Bliss, TX. Skip enjoyed being a part of his community, serving as the president of the YMCA, coaching many athletic activities in the township and enjoyed serving as a deacon of the Pennington Presbyterian Church. He was instrumental in initiating the boys basketball and girls softball leagues, and enjoyed coaching in these leagues as well. Son of the late Robert S. Porter and Mae Porter, he is survived by his wife Janet; son, James Thomson, his wife Debbie and grandchildren Hunter and Jessica Porter of Port St. Lucie, FL; daughters, Jill Ellen Jones, her husband Randall and grandchildren Randall and Tyler of Titusville, and Janiene Elizabeth Baxter, her husband Gary and grandchildren Jeffrey and Paige, of Titusville; also surviving are brothers, Robert Porter of Browns Mills, William Porter of Whiting and Earl Porter of Walla Walla, WA. We are so appreciative of the many hours of care given to Skip over the past three years by Kris Niepsiej, a loyal and dedicated caregiver and friend. A special thanks to our many friends that always gave Skip a helping hand, a smile and constant support. In lieu of flowers, contributions may be made in his memory to The Parkinson's Alliance, P.O. Box 308, Kingston, NJ 08528-0308. A celebration of life service for James Porter will take place at 11 a.m. Friday, Nov. 6, at The Pennington Presbyterian Church, 13 S. Main St., Pennington, NJ 08534. Calling hours will be from 6-8 p.m. on Thursday, Nov. 5 at The Wilson-Apple Funeral Home, 2560 Pennington Rd., Pennington, NJ 08534. 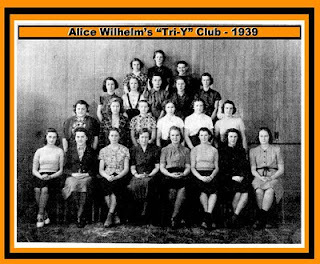 I will leave it to those visitors who have family who were at Hamilton High 70 years ago to tell us what the "Tri-Y" Club did. 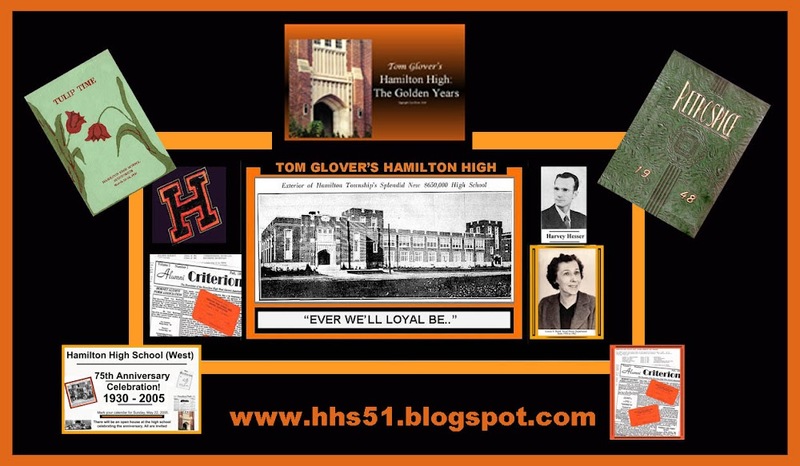 When Alice Wilhelm retired, she passed along many wonderful Hamilton High photos and articles to me. This is one of them.